We all need to do laundry at one time or another. Typically laundry includes using soap and water to remove soil from our clothes. The soap suspends the dirty particles until we rinse our clothing with water and carry the soil away leaving fresh, clean clothes. In dry cleaning however, a cleaning solvent is used where the entire article of clothing is submerged. No water is used in the process which is where it has earned the name "dry" cleaning. 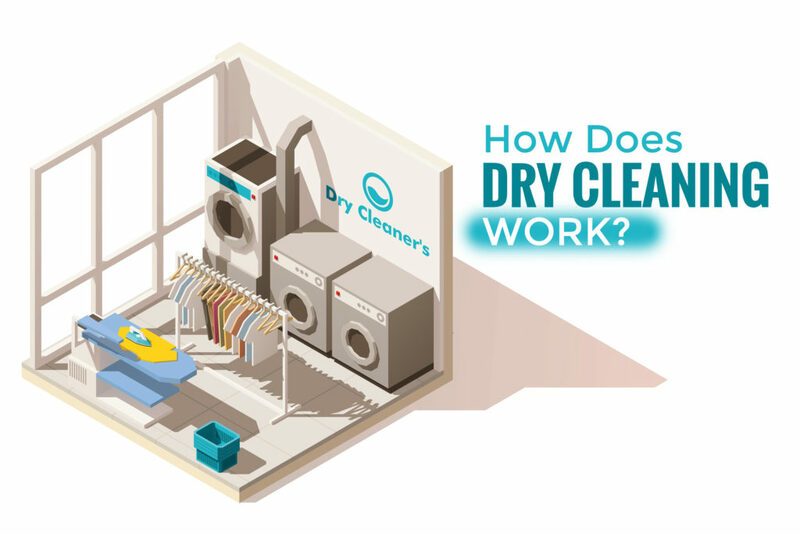 Let's take a closer look at how dry cleaning works to keep your clothing clean. Dry cleaning is a rather new industry in the United States, only coming about within the past 75 years. Initially, harsh solvents such as carbon tetrachloride and trichlorethylene were used to clean garments. Eventually though a product called perchlorethylene, known as perc, became the product of choice. Not only was this product faster and safer to use, but it cleaned garments much better. Having perc as the main cleaning solvent opened up new opportunities for dry cleaners. Now they could operate in smaller spaces with less equipment and could offer 1 hour cleaning services for clients. When you take your clothing to the dry cleaners the first step is for the cleaners to tag your items. During this step the cleaners will take an inventory of your clothing and tag each item. The tag will remain on your clothing through the entire cleaning process. The tag contains a great deal of information including your name, date the clothing was dropped off, date the clothing will be ready, as well as any information that may include the type of stain (such as a red wine stain) that may need different or special stain treatment. In the next step, any difficult stains will be pre-treated, just like what you would do at home for normal laundry. The idea is to help eliminate the stain so that it will be easier for the dry cleaning chemicals to work to fully remove the stain. If you know the nature of the stain you can help in this process by doing a light stain treatment or simply blotting the stain to remove some of the substance. NOTE: The earlier you are able to act to pre-treat a stain the more chance you have to fully remove the stain. From here clothing enters the cleaning machine which contains a stainless steel basket that holds the clothing. The basket is housed in the cleaning machine that is both the washer and the dryer. This is done so that nearly all of the cleaning solvent can be recovered and reused saving both money for the cleaners and the environment. The basket rotates through the machine as the solvent is pumped through the clothing. After the cleaning solvent step is complete the clothing is spun rapidly to air dry. From here clothing will be placed over coils to completely dry the garments. Following cleaning the clothing with the solvent the employees at the cleaners will examine the clothing and look for any stubborn stains. If some remain, the clothing will be post-spotted. Not every stain will be removed but this is a last attempt to remove the remaining stains. After the clothing is post-spotted the last step in the dry cleaning process is finishing. In this phase the clothing is pressed or steamed and any repairs to the garment are made. Sometimes the clothing will be immersed in steam to remove any stiffness that might have occurred as a result of the dry cleaning process. At the conclusion of this step the article of clothing is officially declared finished and packaged to return to the client.